Introducing the all new Weber Genesis II LX gas grills featuring the new GS4 system which includes an Infinity ignition, revolutionary stainless steel high performance burners, new Flavorizer bars with flame view window and a Grease Management System. The stainless steel Weber Genesis II LX S-640 features Six (6) stainless steel high burners with High heat setting that produce 72,000 BTUs of power and a 12,000 BTU side burner. 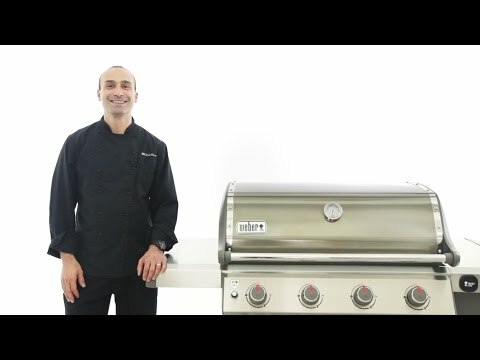 The Genesis II LX S series gas grills come fully equipped with 7mm stainless steel cooking grates, stainless steel Flavorizer bars and stainless steel heat deflectors to effectively hold and distribute heat evenly over the 770 square-inches of cooking grates. The Tuck-Away, Elevations compatible warming rack provides an additional 228 square-inches for a generous 998 square-inches of total cooking area. The Genesis II LX grills come equipped with a Grease Management System that makes clean-up as easy as possible. The stainless steel hood has a center-mounted thermometer to monitor cooking temperatures and has painted cast-aluminum end caps. 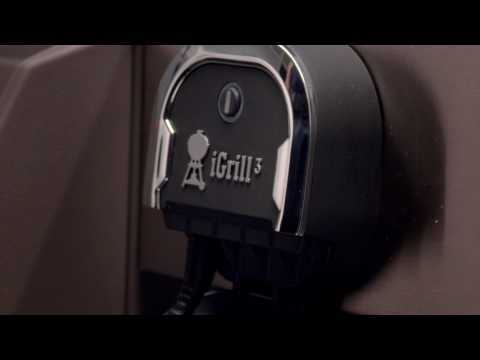 The Genesis II LX S series grills are iGrill 3 ready, have lighted control knobs, two (2) handle lights and features an LED fuel gauge on propane gas models. The welded tube frame with enclosed cabinet includes two (2) shelves inside the cabinet for storage and two (2) side shelves, providing much needed prep space and two (2) heavy-duty locking casters and two (2) large wheels. The grill is mostly pre-assembled, allowing you to start grilling right away. The propane tank is stored to the side, freeing up the shelf space under the grill and has a tank shield that keeps the tank out of view. Three (3) convenient built-in tool hooks keep your BBQ tools nearby. 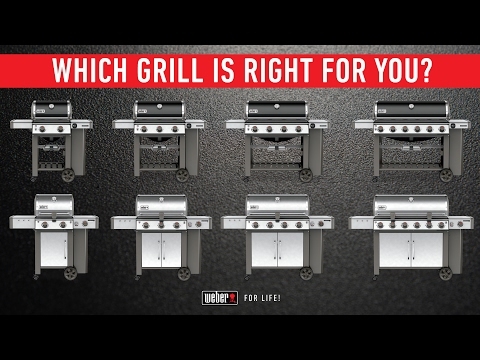 For the last three years I had been reviewing and looking at the options that I wanted when I move on from my Genesis Silver 3 burner grill that I have had for the last 20 years. I am very happy with my decision. I am still in the new honeymoon phase of the ownership. I am looking forward to increasing my weekly number of cooks as the weather gets warmer. I will return to update my review as I progress through the year. Easy to control temp and fires. Lights to see what I'm doing. Perfect food every time! This grill is a great grill , I would recommend this to anyone who grills a lot . Best grill I ever bought, very happy with it . Best Grill I ever had!!! We bought this grill a couple months ago and we have not been disappointed. It cooks great and all the features are awesome. We got this barbecue as a gift. I think it's the best gift we ever got. We barbecue all summer and all winter surf and turf sorry no crab legs left. Exceeded expectations. Very happy with Weber service they delivered missing parts in less than a week. 40 5/16 X 19" 34 7/8 X 19" 40 1/2 X 18" 36 7/8 X 18"